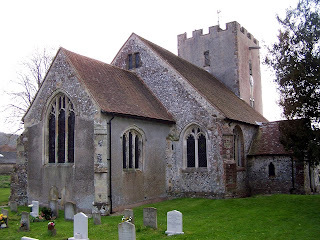 A series of articles appearing in Fishbourne and Apuldram Parish Magazine. 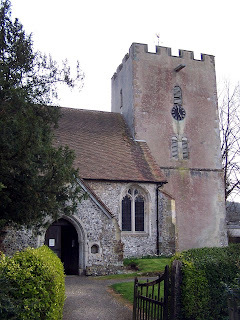 One look at the massive tower of Singleton church betrays its great age. The crude cornerstones and the small arched windows show it was built a thousand years ago in Saxon times. The rest of the church looks 15th century from the outside. The tracery in the windows has the plain vertical bars and flat arches characteristic of the Perpendicular style. So it comes as something of a surprise go in and find a Saxon nave even older t han the tower – an incredibly tall room lit only by a tiny window at the top of the east end and the light filtering in from the later aisles. 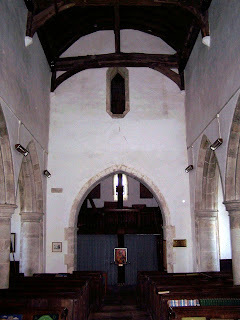 It is believed that the nave may originally have had an upper room to house the priests serving the other churches in Singleton Hundred, and a doorway in the west end, now stranded close to the roof, supports this idea. The doorway itself has a typically crude Saxon arch made simply by cutting a couple of stone blocks in triangular shapes. The columns and arches of the aisles were punched through the Saxon walls in 13th century, and the chancel arch was rebuilt at that time. 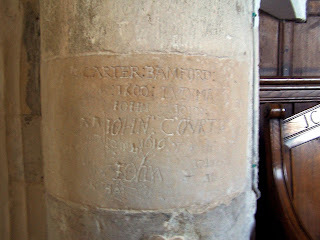 Arthur Mee, author of The King’s England guidebooks, was shocked to see “when the chancel arch was about 400 years old, some lout passed by and carved his name on it.” He clearly did not read the graffiti, for the names are those of notable local families like the Courts and one, James Sicklemore, was the vicar! Sicklemore served at Singleton in the Civil War, changing sides half way through when he paid the local blacksmith to make swords for the Parliamentary army. 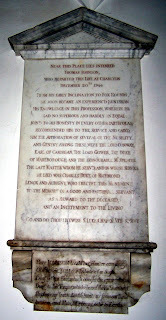 At the Restoration, he left the living to become a founder of the Baptist church in Chichester. In view; and Men, like Foxes, take to Earth. Even more touching, however, is a tablet close to the north porch. 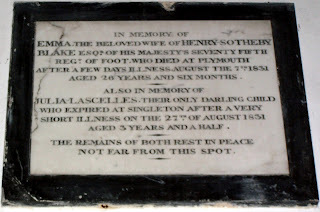 Without sentiment it records that in the space of three weeks in 1831 a local infantry officer lost to illness both his young wife and their three year old daughter.